The convoy moved slowly through the newly-planted forests that covered the hillsides. They could see the camp now, the wooden huts for all the world like lakeside holiday lodges. As the convoy descended the last hill and came round towards the entrance, the camp presented a different aspect. Barbed wire fencing surrounding the camp converged at a wooden gate, over which were the words: ‘Entrance to a new world’. The first wave of American and European troops had arrived several days before by helicopter. They had set up the first isolation units and treatment centre. Guards wearing decontamination suits waved the convoy to a halt, and immediately the new arrivals sprang into action to unload much needed medical supplies and body bags. The liberating forces had found seven hundred bodies so far, here and at the satellite camp half a mile to the north. 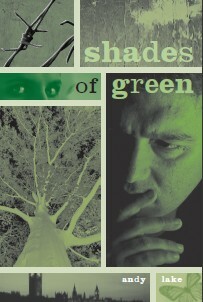 These had included that of Terry Cairns, previously a member of the Green Earth government. The West Highland eco-camp in north-west Scotland would soon become the most notorious of the twenty-five camps around the country, in which some thirty thousand people perished. And these were only the first amongst the more than two hundred thousand victims in the country. The final vehicle in the convoy pulled up. A young woman, dressed all in black, stepped out and surveyed the scene. She held a hand over her eyes to protect them from the sharp evening sunlight. Her investigation team began to unload their kit: computers, cameras, boxes and bags for confiscated documents and electronic hardware. A senior officer recognised her and approached. ‘Miss Kitson?’ he enquired. Despite her determination, her voice began to fill with emotion. Appointed by the new government as Special Investigator for the Commission of Inquiry, her motivation was not only professional, but also deeply personal. She intended to leave no stone unturned in her quest for evidence and justice – and in finding out exactly what had happened to members of her own family.